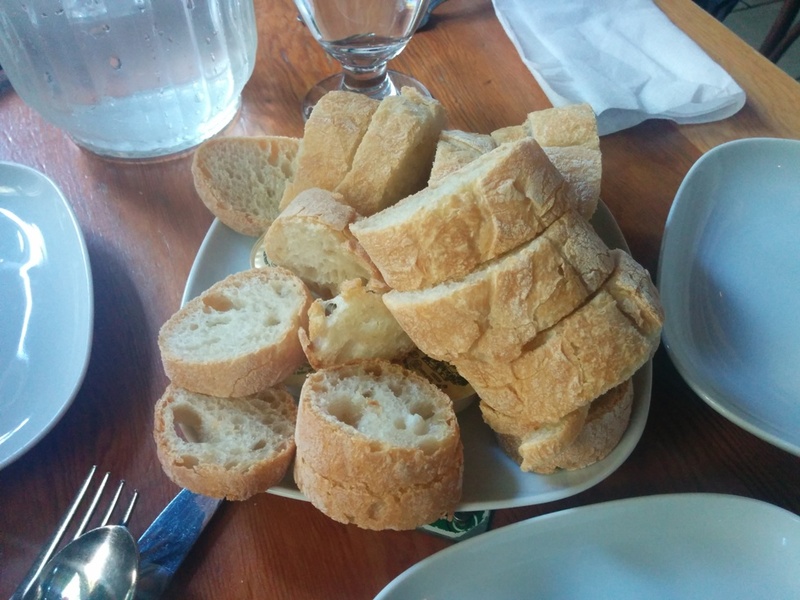 Started off with some warm complimentary bread! They give you pre-packaged butter and it’s buried under the pile of bread. We were all eyeing the Mussels and Fries so we decided to get a small order to share for the table. The small container of mussels was actually huge! 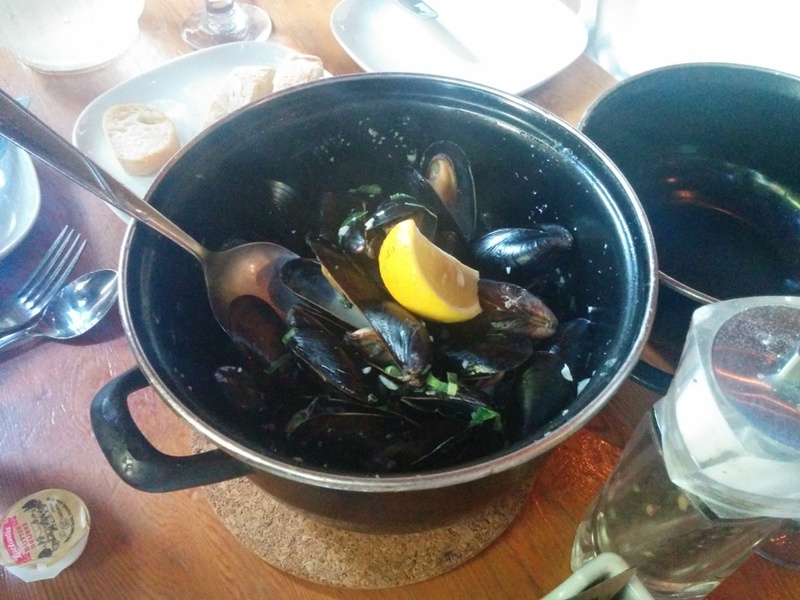 It had a nice white wine flavour to the broth and the mussels were impressively plump! I would say there were around 30 in the bucket or more! 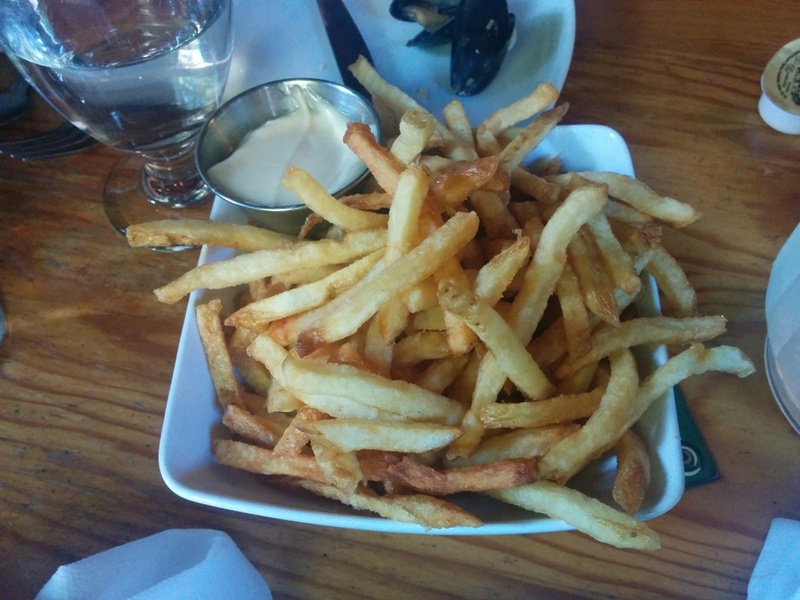 The fries were skinny and crispy, some were a bit burnt or over cooked though but still very enjoyable. The waiter warned us that they only serve fries with mayo and there is no ketchup! This was the Salade d’avocats et crevettes (avocado and shrimp salad). The portion of salad is really big and there was a good amount of baby shrimp. 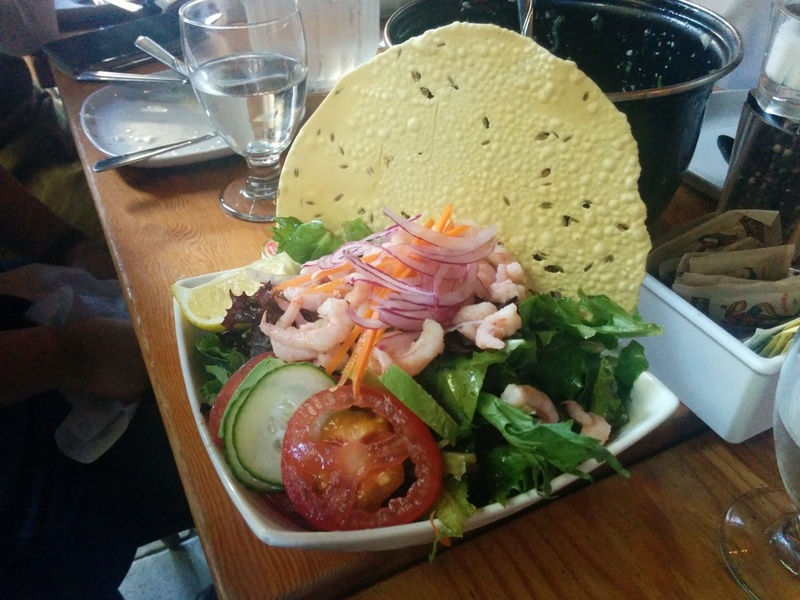 Each salad is served with a large crispy cracker. My friend thought it needed some more dressing though. 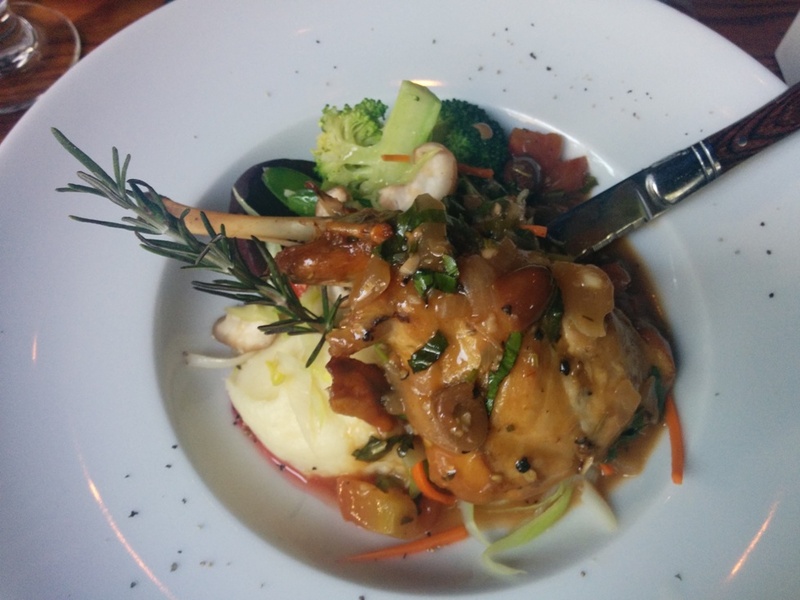 Seabass with mashed potatoes and seasonal vegetables. 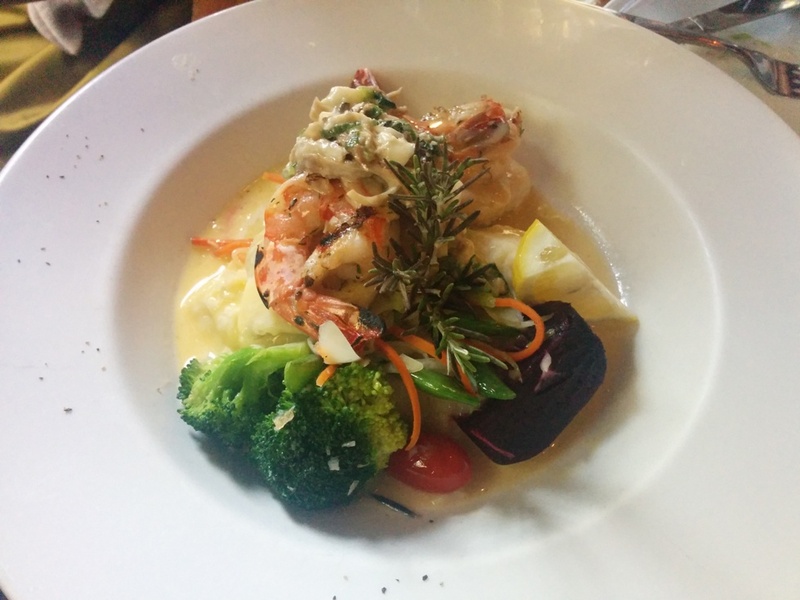 Halibut and Prawns with mashed potatoes and seasonal vegetables. 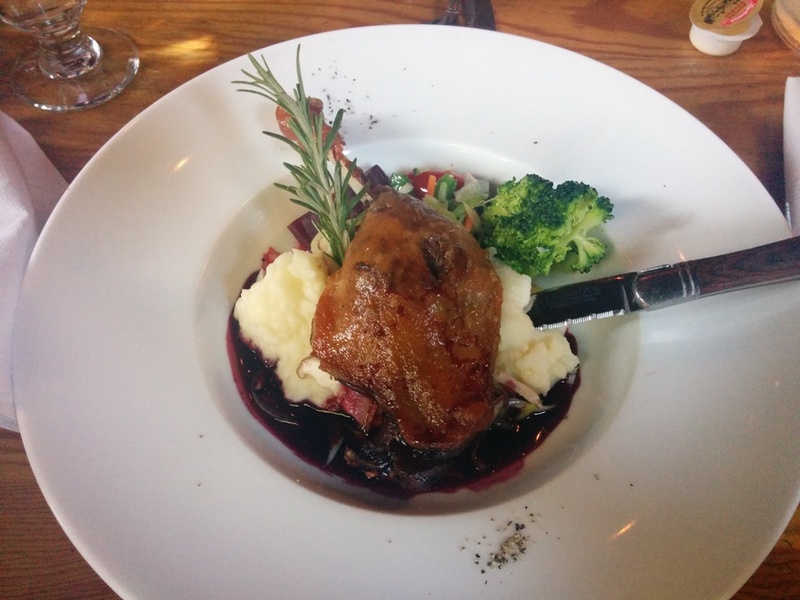 I had the Canard Confit served with some black currant sauce, mashed potatoes and seasonal vegetables. 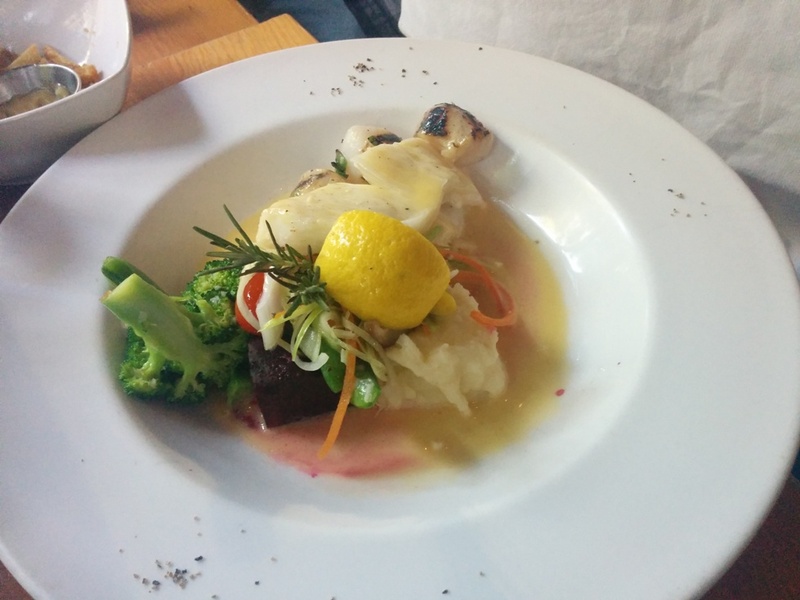 The presentation was nice with a sprig of rosemary? in the mashed potatoes. The duck leg was tender and the black currant sauce gave it a hint of sweetness. Pretty good but I prefer the version at Les Faux Bourgeois more. We were all very satisfied with our food and pricing is very reasonable especially for the mussels and fries! Also, have you seen my post on Spaghetei yet? There’s a 10% off dinner coupon if you’re interested in some Japanese style spaghetti! Woah woah rabbit?! What was it like?